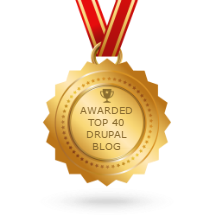 What is Drupal 6 Long-Term Support? We've been providing support and maintenance for Drupal 6 sites ever since Drupal 6 reach it's End-of-Life back in February 2016. This includes creating security releases and patches for Drupal core and contrib. In fact, we're one of two companies officially blessed by the Drupal Security Team to do so. In the beginning, we weren't sure how long we'd be doing this. Perhaps, everyone would upgrade to Drupal 7 or 8 by the end of 2016? While many of our customers have upgraded or switched to other platforms, we still have quite a few customers who don't have clear plans to upgrade any time soon. We want to continue to provide a way to keep using Drupal 6, and in 2019 and beyond, that means PHP 7! You may not know this, but we've released all the Drupal 6 security updates that have come out after Drupal 6's EOL to the community! We plan to also share all the changes to Drupal 6 core and contrib that we make to support PHP 7! We'll only work on the modules used by our customers, but we'll share the changes with everyone! If you need help geting your Drupal 6 site working on PHP 7, especially if you're willing to be adventurous and participate in the September push, please contact us!